There are many common legal terms that are used in courtrooms from one lawyer to another, to the judge, or by the judge themselves. Some of these terms are used often enough in every day conversations yet their common use definition may differ from their use in a courtroom setting. There are many specific actions and laws used by attorneys and judges – understand their lingo better so you will be able to be more knowledgeable and opinionated on cases, or start developing your own interest in the legal field. Below is a list of 25 common terms that will make understanding law a bit easier. Adjournment: To suspend the case and postpone it until a future time or place. Alimony: The legal obligation of a person to provide their spouse with financial support after a divorce or separation. Bench: Officially, the bench is the seat of the judge themselves. However, many times it refers to the judiciary as a whole, or of a certain court. Custody: The care, control, and maintenance of a child, which may be awarded to only one parent following a divorce case. Custody can also reference a person's property or the location of a prisoner. Decree: The judicial decision of the court and judge, the consequences of the case, and how it will be carried out. Decrees are the results of the Final Judgment, although they are often confused. A decree can also be a ruling made by someone of power, such as a President making a law or statement. Deposition: An out-of-court oral testimony of a witness to be used later in the case as written evidence. These can be made during pre-trial in a lawyer's or judge's office. Exhibit: A document or object shown to the court as evidence. Final Judgment: The ultimate, final decision on the case. All that remains after this point in the case is the actual enforcement of the verdict. Grounds: The reason(s) the case was brought into the court in the first place. Hearing: A trial which acts as a formal examination to determine if a person should be charged with a felony, should be tried with the crime charged, and if there is enough evidence to determine if he/she committed the crime. Hearings are often held at lower-level courts before taken further. Motion: A request for a decision by a court pertaining to the matters submitted; based upon legal arguments and no material facts are in dispute. Objection: A lawyer's protest about the legality of a statement made in court. This includes irrelevant material, hearsay, leading, calls for conclusion, lack of foundation, etc. Overruled: When a judge disagrees with a lawyer's objection and allows the objected statement to remain valid. This is the opposite of being sustained. Order: An official, written direction from a court or judge to do or to avoid doing certain acts. Parole: The release of a prisoner for a short period of time, for a special purpose, or permanently before the completion of a sentence based on the premise of good behavior. Party: The person(s) concerned or taking part in any proceeding considered individually. Plaintiffs and defendants are the parties in a lawsuit. Plea Bargain: A negotiation where the defendant agrees to plead guilty but will face a lesser charge and the prosecutor agrees to drop the more serious charge. Pretrial: A proceeding to be held before the official trial to clarify facts and points of law. During this step it's possible to change your plea to guilty, or continue to the trial. Rebuttal: A statement or piece of evidence used as a counter to disprove or contradict the opponent's evidence or presumption. 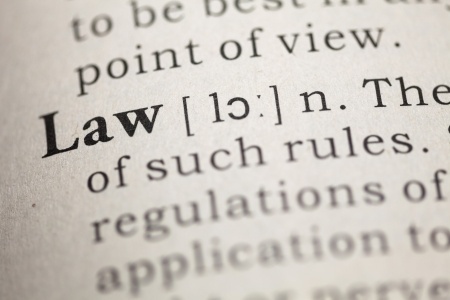 Rule/Ruling: A declaration or order made by a judge in court which decides a specific question or point. Statutes: An enactment made by a legislature and expressed through a written, formal document. Subpoena: A request for a non-defendant to appear in court, such as someone to act as a witness. Refusing to appear in court can be punishable in itself. Summons: A court order requesting someone to appear there. Generally a summons is given to a defendant requiring them to be at the case. Occasionally a summons is given to a witness to show up at a court case. Sustained: When a party objects to a testimony, entry of evidence, or another trial procedure, and the court or judge agrees with the objection. This is the opposite of being overruled. Withdrawn: When a question is asked by one party in court, the opposing side objects, then the initial party retracts their question or remark. If the opposing side deems the question unnecessary or irrelevant they can refuse to respond.